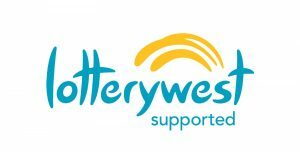 The Western Australian Government, through Lotterywest, has provided over $2.8 million in grant funding to the National Trust of Western Australia for a three-year program to implement its Strategic Plan across key areas of heritage activity. The funding will enable the National Trust to undertake important conservation works at priority places, enhance community engagement programs, improve access to Trust places and collections, support and grow membership and volunteering, support Aboriginal heritage programs, and enhance the visitor experience at Trust places. CEO of the National Trust Julian Donaldson said, “by awakening people to the value of heritage the Trust aims to enhance people’s understanding of why heritage is important, how it enables us to explore our identity and our place in the world and how an understanding of the value of heritage contributes to a sense of wellbeing in society.” He referred to the Productivity Commission’s inquiry into the Conservation of Australian Heritage Places in 2006 which recognised the benefits that heritage places generate. Lotterywest CEO Susan Hunt PSM stated that Western Australia’s heritage – both natural and built heritage – is vital to understand being Western Australian. Mr Donaldson said the National Trust makes a significant contribution to understanding our cultural identity through the preservation and promotion of heritage values in the natural, Aboriginal and historic fields and this grant from Lotterywest will enable the National Trust to achieve a wide range of projects that will have positive community benefit. In addition to the Lotterywest grant, the National Trust will contribute its own funds and seeks to develop partnerships with State and local governments, business and the broader community to assist with realising this ambitious program. Some of the projects that will benefit from the grant include support for the State-wide annual Australian Heritage Festival; important conservation work to The Old Observatory, Woodbridge, and Wonnerup; volunteer training; and investigations and research into significant heritage places to underpin future conservation works.